With drizzly, windy Autumn days comes the desire to head indoors where it’s toasty and warm. Few things are as soothing as fluffy robes, crackling fires and steaming tea. The Grotto Spa at Parksville’s Tigh-Na-Mara is one of my favourite escapes and they’re offering up a chance to experience it for yourself with their upcoming Open House. There’s no cost to attend but you must RSVP and the spots are filling up fast. 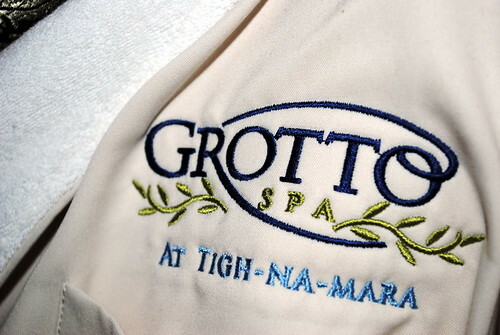 To secure your spot, e-mail the Grotto Spa and be sure to follow their updates on Twitter. I will never forget my first and only massage at this wonderful place! Everyone needs to be pampered at least once in their life.